There are good times to work in the attic. You see, the loft can get hot in most months of the year. Though it is advisable to work in the attic when the temperatures are optimal, here are basic safety measures to consider before traipsing thru your loft. You need to use a long sleeve shirt that is tucked into a pair of pants and gloves before you go up to the attic using a wooden folding loft ladder. This can help guard you against the thermal insulation and any other items that can irritate your skin. When performing some tasks in the loft, you should try using safety glasses or goggles. They can help prevent things from getting into your eyes. This is vital because you can accidentally get some stuff in your eyes thus temporarily blinding you. Consider using a respirator when working in the attic. A disposable one is ideal for protecting you from any airborne fibers or any other stuff that can easily make you fall sick. You should consider wearing a hoodie or even a baseball cap which can help prevent scrapes from the nails that stick through the roof sheathing or any other area. However, most safety experts recommend hard hats that can be pierced by the nails easily. When it comes to the footing, make sure not to step on anything that is not truss or joist. See, most lofts will be cramped, full of ductwork, braces, electrical wires, and plumbing materials. But it is wise to make a good floor for your attic to tread on, or you can as well build a temporary platform that can be walked on. You should consider having a drop cloth under the hatch and a vacuum cleaner to make sure you vacuum yourself after work. It also helps to vacuum other items that may have been knocked from the attic. If you come across any vermiculate insulation, signs of animals, animals, any old wiring- knob and tube, or clothed cables-you should not mess with it. You should consider performing research calling in an expert to tackle that issue. You should not try disturbing the insulation as much as you can. This is to make sure you do not disturb dust, mold, dirt, fibers etc.… that might be stuck in it. But it may get on your clothes because dirt is flying in the air through the open hatch and you may have to wear the same clothes when you return to the living area. You can vacuum your clothes to remove the dust, though. 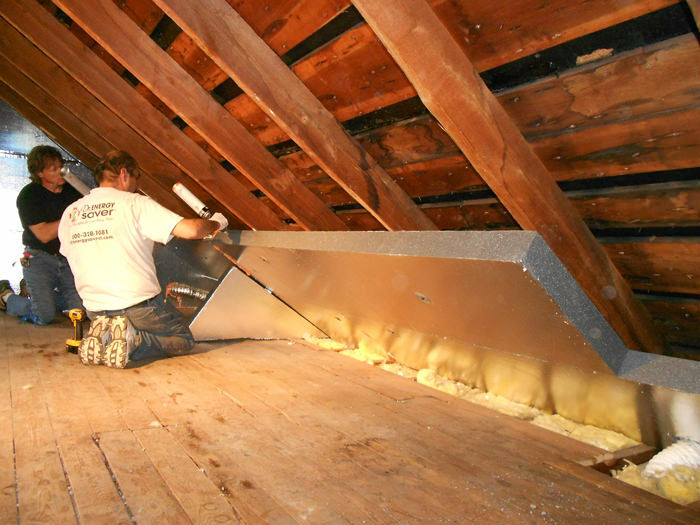 In order to ensure that you are safe enough while running an errand in the attic, you should keep in mind the safety measures that are recommended by experts. These brilliant safety tips are objectively meant to help you avoid injury, protect yourself from harmful stuff like animals and also dust o dirt that can cause illnesses.